As reported here earlier, former Mansun frontman Paul Draper has announced he will perform a Mansun album IN FULL on his February/March 2018 UK and Ireland Tour, IN ADDITION to a full Spooky Action set. 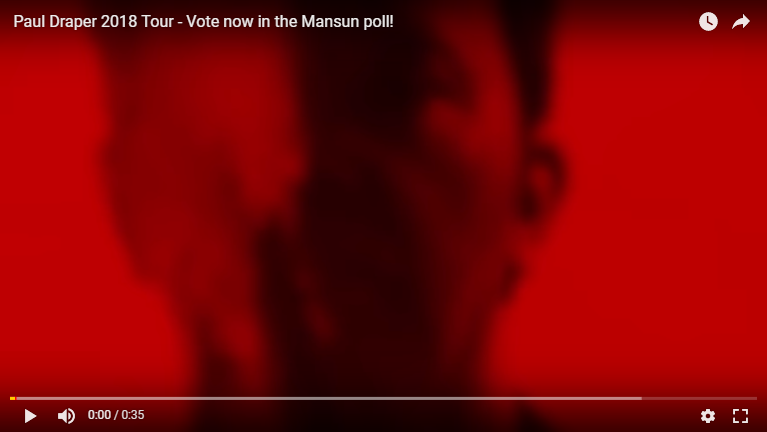 You can vote now for the Mansun album you would like Paul to play by going to the ‘Mansun’s Only Love Song’ group on Facebook HERE . The poll will close on Monday at 6pm.